Richard Jones directs a new production of Puccini’s passionate opera of love and death in 19th-century Paris. Julia Jones conducts The Royal Opera’s gorgeous production of Mozart’s The Magic Flute with two wonderful casts including Roderick Williams as Papageno and Janai Brugger as Pamina. Verdi’s spectacular grand opera is conducted by Maurizio Benini with a cast including Malin Byström and Rachele Stanisci, Bryan Hymel, Michael Volle and Erwin Schrott. Donizetti’s opera of a woman forced to breaking point is conducted by Michele Mariotti with a cast including Lisette Oropesa, Charles Castronovo and Christopher Maltman, in Katie Mitchell’s powerful production. The youthful stars of the Jette Parker Young Artists Programme perform Peter Brook’s radical reworking of Georges Bizet’s opera in the intimate setting of Wilton’s Music Hall. Antonio Pappano conducts Rossini’s epic tragedy with a cast including Joyce DiDonato, Ildebrando D’Arcangelo, Daniela Barcellona and Lawrence Brownlee in a new production by David Alden. Catch this classic double bill of Italian opera in The Royal Opera’s Olivier Award-winning production, with Daniel Oren conducting two excellent casts. The Royal Opera returns to the Roundhouse with Monteverdi’s great late work, in a new production directed by John Fulljames starring Christine Rice and Roderick Williams, sung in English. Janáček’s final work receives its Royal Opera premiere in a new production directed by Krzysztof Warlikowski, with Mark Wigglesworth conducting an excellent cast including Johan Reuter and Willard W. White. Antonio Pappano conducts Verdi’s opera on Shakespeare’s tragedy, with a magnificent cast including Anna Netrebko and Anna Pirozzi, Željko Lučić and Ildebrando D’Arcangelo. The world premiere of Mark-Anthony Turnage’s opera based on Neil Gaiman’s much-loved story, in a production at the Barbican directed by Aletta Collins. Philip Venables’s award-winning opera is inspired by Sarah Kane’s extraordinary final play. Richard Jones’s critically acclaimed production returns after more than a decade, with Antonio Pappano conducting a cast led by Eva-Maria Westbroek in Shostakovich’s masterpiece. George Benjamin conducts the world premiere of his new collaboration with Martin Crimp – a hotly anticipated work from the creators of Written on Skin, with an excellent, hand-picked cast. The latest opera from composer Tansy Davies and librettist Nick Drake, the award-winning team behind Between Worlds. The Royal Opera presents the world premiere of a new work by exciting young composer Na’ama Zisser, in a soundworld that thrillingly unites contemporary idioms with the music of Orthodox Hasidic Judaism. Wagner’s great romantic opera is conducted by Andris Nelsons with a cast including Klaus Florian Vogt, Kristine Opolais and Christine Goerke in a new production directed by David Alden. In Mozart’s dazzling tragicomic opera, Marc Minkowski conducts a world-class cast led by Mariusz Kwiecień with Ildebrando D’Arcangelo, Rachel Willis-Sørensen, Pavol Breslik and Hrachuhi Bassenz. Robert Carsen’s production of Verdi’s masterful comic opera is filled with wit, humour and sheer joie de vivre. The Jette Parker Young Artists return to the main stage in their annual summer performance. Opera Rara gives the world premiere of Donizetti’s opera – some of which is familiar from La Favorite – in a concert performance starring Joyce El-Khoury and conducted by Mark Elder. Disappointed that neither Lohengrin, Don Giovanni nor Falstaff are being live screened. They were the productions I most wanted to see. Can't afford to go to London to see them at ROH as it would involve rail fare, overnight in an hotel as well as the cost of the seat at ROH. More live screenings please. It's great that you're interested in the live screenings, and I'm sorry to hear that your favorites aren't being shown. We try and share as much as possible in cinemas to increase the accessibility of ROH production beyond those able to visit London, but sometimes we simply don't have the budget to be able to capture and broadcast everything in our season. Also, there are many legal and financial agreements with all those involved in the production that have to be checked before filming and broadcasting. We do try to offer a good balance of repertory classics and new productions within each cinema season, so even though not all of our productions are broadcast, we hope there's enough to cater for as many people as possible. I would have liked to see more in the cinema too. I agree totally. I live in Newcastle and like you my trip to the roh involve costly rail tickets, hotel overnight etc. I vote for my live screenings too. This is the first I have heard of Hvorostovsky not appearing in Rigoletto, for which I have tickets. Surely the Friends section or someone could use email to at least notify those who have bought tickets as soon as you yourselves know. The role will be sung by Dimitri Platanias who I'm sure you'll enjoy seeing. Is Dmitri Hvorostovsky really supposed to be appearing in Rigoletto? He had announced that he was not appearing in staged opera for the foreseeable future for medical reasons. I particularly look forward to seeing From the House of the Dead and Semiramide for the first time. Also I am pleased to see that there will be revivals of Les Vêpres siciliennes and Lady Macbeth of Mtsensk. For "Rigoletto", the Winter Magazine does not mention Dmitri Hvorostovsky in the cast, as expected since the baritone has withdrawn from all staged opera performances. Like some other opera houses, the ROH has chosen to maintain his name while announcing the season 2017/18 (probably because contracts had been signed before Mr. Hvorostovsky's withdrawal from staged performances and maybe to give a more prestigious appearance to the new season?). Now, why the ROH still keeps his name on the website? That is not fair to its audience! With apologies for the delay: The cast changes that have accumulated for the upcoming Season are being distributed right now and we will be changing the website as soon as possible, making all the changes at once now the 16/17 Season has ended. Dmitri has indeed withdrawn from all future staged performances. Due to the sensitive nature of this change, we have not made any further announcements (which has included changing the website) following the news story in which we announced his withdrawal. The production of the Return of Ulysses in the 2017/18 Season will be performed in English, and will use a new translation by Christopher Cowell. There are three opera productions with no Saturday evening performances .. come on schedulers. . . we are not always able to go during week because of work commitments and a Sunday night does not solve the problem with early rise on Monday. I am particularly frustrated that I may have to miss Salome and Lady Macbeth unless I can use my holiday entitlement for a day off. Please correct typo in Magic Flute cast list. Roderick Williams will be singing Papageno not Papagena. Thanks for pointing this out, we've taken it on board and have made the correction. I think that Asher Korner is being disingenuous about the cinema presentations. It's not so much the balance between new and returning productions that needs to be addressed but the balance between productions that have already been broadcast and those which haven't. Zauberflote, Tosca, Rigoletto and Macbeth have all been seen on screen before and two of those also clash with the New York Met's offerings. I can't summon any urgency for the cinema season at all, I'm afraid. I'm afraid Asher is right about the cinema presentations - if we could broadcast everything, then we would, but there are a number of artistic, financial and legal considerations in play when deciding our cinema slate each Season. Sometimes, we'll broadcast productions on screen in cinemas even if they have been seen before, based on the casts, popularity of previous cinema broadcasts, or simply because they haven't been seen in cinemas for a long period of time, to give new audiences an opportunity to see them. We do try and avoid any clashes with our cinema broadcasts, and have a positive working relationship with companies across the world to facilitate this. This year, unfortunately, we do have three clashes with the Met; having three in one Season is unprecedented and we will be working closely with the Met Opera team to avoid these in the future. A balanced season but three David McVicars! I'm most excited by From the House of the Dead (Krzysztof Warlikowski and Teodor Currentzis) though there's only one female in it and she's a prostitute. Cue articles. Also Barrie Kosky being let visually loose on Carmen and Lady Macbeth of Mtsensk with Eva-Maria Westbroek. Never seen Semiramide so that's good. Lucia, like Trovatore this season, is surely coming back too soon but I guess these things are decided years in advance. They both needed a rest and a rethink. To ask the obvious: will Anna Netrebko turn up? It would be funny if you listed who's on standby (or is that Anna Pirozzi?) for someone has to be. Is the ROH considered too big for Baroque or does Baroque simply not sell well-enough? I think the only Glyndebourne production to transfer to the ROH was Porgy and Bess. Does the ROH ever consider importing anything from there when it's baroque but brilliant eg Saul or Hippolyte et Aricie? Just wondering. Wonderful range, and I'm so pleased Semiramide is doing the rounds and being given the respect it deserves. One could pick holes but the pressures are enormous in the world of opera, on all concerned. I think it's terrific that it's still a practiced art form at all these days, with continuing interest and investment in it, and to be able to enjoy some of it HD live each year is even more of a thrill. Surely every single person involved in every production should have a clause agreeing to having one live broadcast included in their already generous contracts! Anything else is just holding the Opera House to ransom. If they don't like it they should sing/conduct/direct/play elsewhere! Let's have more openness about Asher Korner's "many legal and financial agreements". Is the Tosca Live in Cinema on February 7 with Angela Gheorghiu? Hopefully YES! Angela Gheorghiu is singing on 24 January and 27 January. The filming dates may not be confirmed for the moment, so both Angela Gheorghiu and the new-comer Pieczonka might show up. Nevertheless, Gheorghiu received the first broadcast of the production in 2011/12 live cinema season, and I think the Royal Opera rarely films the same cast in the same production. Teodor Currentzis, Rigoletto it is interesting that in the first approximation, is interesting to me. Absolutely thrilled to see the fabulous Eva-Maria Westbroek, Jeremy White and Carlo Bosi named for the 2017/18 season. However... Why no first revival of "Andrea Chenier"? I had been hoping to see this in the 2017/18 season and had been saving my pennies to see my absolute favourite "in the flesh". Seems a shame to waste the stage set and costumes for another year!!! Good season overall, but do we really need to be tortured again with that awful Lucia production? And how about that boring Don Giovanni for the third time in 4 years? I don't see Juan Diego Flórez anywhere. Why not? Because Juan Diego Flores pulled out of doing Lucia once he had seen the production. Unfortunately there appear to be irreconcilable tensions between the staging ambitions of certain ROH directors and various international singers. Yoncheva was supposed to be Mimi but also pulled out (she confirmed this in a Sunday Times interview). Semiramide with Joyce DiDonato is what I'd hoped for, and we have it. But 25 shows of Boheme, on top of 13 Toscas, 13 Flutes and 12 Carmens (the last of which is at least a production new to the ROH)? I know that it's important for the House to make money, but that seems quite unbalanced. Which of the 2 casts will be the one of the Carmen broadcast? I would travel across the ocean to hear the rising star, Vlada Borovka as Musetta in La Boheme. She is an exciting young performer, and I always like to say that I heard them "when". Highlight of the season? The new Benjamin, of course! Really nice to see some great singers coming back to the ROH . Garanca, the wonderful Barcellona, Keenlyside, Fabiano and Netrebko ( we hope ). Unfortunately no Grigolo, Kaufmann, Yoncheva nor Florez who was scheduled for Lucia. Not sure who was originally planned for Mimi but obviously somebody must of pulled out and we are now getting 4 different Mimi. Just to be accurate here, NONE of your HD relays actually "clash" with the MET's, because that explicitly means an overlap of dates. What is happening is minor repertoire duplication within the course of your respective seasons. But none of the works concerned has either the same cast or the same staging, so I hardly think this qualifies as much of a "clash" except for those addicted to novelty for the sake of it. And I would assume that at least some of the forthcoming co-pros - Semiramide and Lessons in Love and Violence in particular - will be relayed from other houses in the producing chain in due course. Time to start saving for my trip to go see Lohengrin, Don Giovanni and Falstaff next year. Can't wait for Dmitri Hvorostovsky to return to the stage in Rigoletto! Very much hope and pray he will be able to make it. Please tell me that Michael Fabiano will be in both live relays of La boheme & Rigoletto! I'm pretty happy with this season: Janacek at last, plus another great opera from the Slavic tradition in Lady Macbeth of Mtsensk; a dream cast for Lohengrin; new productions of some of the standard repertoire by interesting directors; and some enterprising brand-new works. I agree with some other comments that some of the revivals seem to come around rather too quickly; I've no objection to Lucia coming back, nor Cav and Pag, but wonder if they really need to be done a mere two seasons after first appearance. I'd like to see a more leisurely cycle around a wider repertoire, especially for composers like Donizetti who wrote a lot of operas. I'd also like to see a bit more space made for genuine rarities. I'm conscious I'm speaking from the perspective of someone who's happy to travel around the country, or to make a weekend in a European city, in order to go to the opera, which of course isn't true of all your audience; and I acknowledge that quite a few of the operas in this season haven't been around in London for a while. But (except for the brand-new works), only Semiramide will be new to me. It's a shame that with the end of Holten's regime it looks like we won't see his Freischutz or Liebesverbot (both actually advertised, in Copenhagen and Madrid respectively, as co-productions with the ROH), the former not staged in the UK in recent years, the latter rare everywhere. I suppose I'll have to keep making occasional trips to Germany for the opera! Indeed, when the new Linbury is set up, I think one its functions ought to be to offer repertoire that might be too obscure for the main stage. It would be wonderful to see operas by Marschner or Goldmark in London, for instance, or even just more Gluck! Looks like a good season with a lot to interest me - might give the "warhorses" a miss as I do other things besides ROH - but especially looking forward to Lohengrin, Lady Macbeth of Mtsensk, Cav & Pag (superb production), Lucia (unlike some I liked the production). Never seen Semiramide so that will be interesting along with the new George Benjamin as I enjoyed Written on Skin. Re Dmitri Hvorostovsky - would be great if he was able to sing Rigoletto, but top singers are booked 3 or 4 years in advance, so I guess ROH can only at this stage publish the cast as planned and we shall have to see what happens. It's good that the 450th birthday of Monteverdi, the first great opera composer, is being marked by a production of The Return of Ulysses. It's bad that it will be in English. Monteverdi's music depends on the Italian language. There were perfectly good surtitles when Orfeo was done at the Roundhouse (also, unfortunately, in English). The ROH just doesn't get the first 160 years of opera. Will the ROH never learn? Last season they revived the dreadful Trovatore and offered the seats at half price Next season we have the equally dreadful Lucia returning : don't buy the tickets, but wait for the house to be papered! If a production is a failure, then drop it! Really pleased to finally see a Janacek production; and I'll also looking forward to Semiramide, and Lady Macbeth, which I missed last time. It does seem poor programming to give two versions of Carmen in the same season - unless this is a prelude to more interesting doubles e.g. two Don Giovannis (Mozart and Gazzaniga) or two Barber of Sevilles (Rossini and Paisiello) in future seasons? I agree with other comments that some revivals have come round very quickly - I'm certainly not minded to see Lammermoor again, at least in the current production... although I'd quite like to see a revival of the recent Parsifal in the near future. I'm sure the two versions of Carmen will be entirely different. I look forward to the Kosky, however much I thought 'The Nose' a waste of his talent. Many found the Zambello a disappointment but I found it good, but then even a standard park and bark of Carmen presses the buttons for me. Parsifal? Never seen an ROH production that delivers but then which house can? Maybe Munich in July' 18, but maybe not, despite JK. I have never been to a live opera but would love to see Marcus Kwiecen in Don Giovanni. I dont think its boring to show it again! But I live in Newcastle and I imagine the cost of the ticket, rail travel and hotel would be almost the cost of a small holiday. That is if I could get a ticket in the first place. I will just have to content myself with watching the DVD of the last production. Visits to ROH are a rare indulgence and really worth the effort. I live in Manchester and providing you book when it opens you should have a good choice of seats. There must be early booking offers on the trains from Newcastle and there are plenty of Travelodge or Premier Inns around Covent Garden. Suppose it depends on whether a couple of days in London, with a great night at the Opera is not seen as a small holiday. Despite the seemingly eye watering cost, a live visit to ROH is worth it but then I can't take to either live transmissions or DVD's. Hopefully the Lady Macbeth of Mtsensk will be rethought so that all the action isn't upstage right, leaving people in the extreme house left seats (especially in the boxes) spending long periods watching an empty stage. That is helpful to know John, I was sitting on the right last time and thus unaware of this potential problem! Where is the great performer Maestro Placido Domingo?. It will be over a year since he has been at the Royal Opera House. The new production of Semiramide, seen in Munich, is traumatizingly ugly. Why hire such a fantastic cast to put them in that hideous production ? What a waste ! Looking at this programme I can see I will have to holiday elsewhere to see some of my favourite singers. No Kaufmann, Flores and many of us are still happy to see Placido Domingo. Not that anyone had a look in for Otello tickets for those of us who had been attending for many many many years. Very disappointing. Pertusi is finally back to the ROH. Why not in a Rossini's role? No Rene Pape? Surely a grave omission? I'm excited to see that Ludovic Tezier will be performing, in L'Ange de Nisida--and that Marc Minkowski will be conducting Don Giovanni! 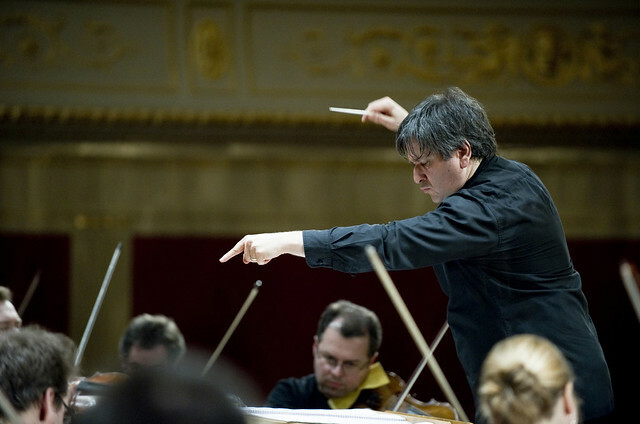 I wish Antonio Pappano was conducting on more occasions. We all look forward to seeing your fabulous productions here in Rochester, New York, USA. Why has Der Freischütz been neglected by the ROH since 1977? I live in Rochester, NY (home of The National Susan B. Anthony Museum & House), and am so delighted to be able to see ANY of your productions here, through cinema. We are trying to survive in the Trump years, and your art certainly helps. Is it possible to know beforehand which production/edition of a particular opera will be released in cinemas with a view of knowing who the main opera singers are? This will help customers to know the names of the main actors (singers) well before booking and/or going to watch the opera on film. Thanks. Yes, it is possible - you can find the list of ROH productions at the link below. For your desired production, you will see the main cast of each performance. There is any opera in streaming? For 'L'Ange de Nisida' in concert (18 and 21 July), did Ludovic Tézier withdraw from the production or did something else happen? And when? How come that you have not announced his replacement? Ludovic Tézier has withdrawn from singing the role of King Fernand of Naples. The role will now be sung in all performances by Italian baritone Vito Priante. What is scheduled for September 2018 at Covent Garden Royal Opera House? Our programme for the 2018/19 Season has not yet been announced. Watch this space. I am very much looking forward to seeing Ekaterina Siurina in Boheme on July 20th, I'm sure she'll be right up there with Angela and Ermonela as Mimi. Can we please have Ermonela Jaho back at The House, I am having to fly all the way to New York to see her Butterfly on March 16th, after having been blown away at by here ROH Butterfly in April 2017. She is undoubtedly the greatest living Soprano so it'll be worth the effort of flying 2,000 miles, but could we not just have her permanently at ROH.. Thanks. I second that proposal (although I'm sure she might have something to say about it herself..)! I've just returned from seeing her perform Butterfly in New York and it was the perfect end to a perfect week. Hearing her perform live is something else.. I am interested to attend in short time course of opera singing class. I want to learn opera singing.